DS Ripley is dead. Gunned down by a self-proclaimed vigilante of London, Tom Marwood, who is hunting paroled criminals. Marwood can no longer take the moral high road. He has killed a cop. He has killed an innocent person. In recognition of that fact, he decides to go after Mary Day, Luther’s love interest, in order to make it look like John Luther had hired him to gun down not only his partner but his girlfriend as well. Marwood’s vigilantism has lost its moral justification. In order to maintain his gallant reputation, he has to make someone else the scapegoat for his crime. Once again, John Luther becomes that scapegoat. 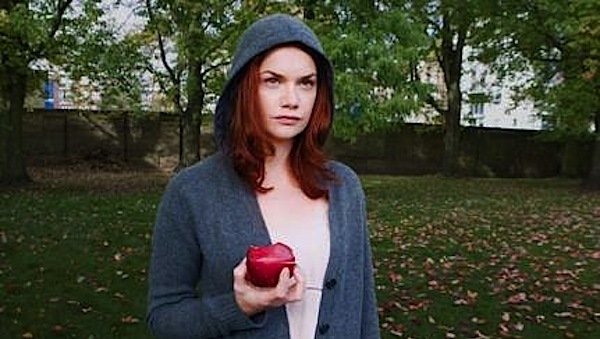 Most of this episode consists of Luther and his newly-returned psychopathic friend, Alice Morgan, avoiding Stark and Gray—who are working on the presumption of his guilt in the murder of DS Ripley and attempted murder of Mary Day—and searching for Tom Marwood before he kills the pregnant wife of the doctor who works at the prison where Marwood’s wife’s killer is. Marwood has taken her captive to coerce her husband to kill the offending prisoner. The climax of the episode, where Marwood trains a shotgun on the backs of both Alice Morgan and Mary Day and asks for Luther to choose which one he should save and which one he should kill (“Luther’s Choice”), provides a stellar ending to the series, with yet another pulse-quickening ethical dilemma. Instead of digging into the plot of the final episode, I want to dig into a couple of concepts that find their home in this episode—and the rest of the series. The first is contained in the Alice Morgan quote at the top of this post. If one takes a survey of all fourteen episodes that make up the TV show, it is easy to see why Morgan’s observation–that Luther’s conscience has killed more people than she has–makes complete and profound sense. Outside of the opening scenes of the first episode, nothing that Luther does really can be truly labelled “immoral”. Now, did he skirt procedural rules and policies? Probably, but that does not necessarily constitute immorality. Throughout the series, Luther is constantly putting himself in harm’s way in order to get his man. He is the true dark knight of London, not Marwood—for Marwood never sacrifices anything for his vigilantism. In two separate instances during the life of the series, Luther finds himself on the wrong side of the law and those around him hurt because of his, I would say, largely moral actions. Again and again, we are shown how seeking righteousness in a broken world has a severe cost, including the loss of life. Righteousness always rubs up against darkness. It may be a (small) leap, but all we have to do is look at the cross to see this born out in an ultimate sense. God gives himself in human form to a broken world and the result is the death of the only truly innocent man who ever lived. There is a cost for righteousness on this side of eternity. BBC’s Luther has come the closest of any show I have seen to illustrating that profound and biblical concept. The second concept, or theme, is the interplay between Alice Morgan and John Luther. Is it good to root for “a man better suited a priest” who is willing to accept the help of an unabashed psychopath and killer? Seems like that goes against his nature and against the character created. If Luther was actively seeking out Alice’s help, I might agree. But he doesn’t; it’s much more a matter of her not leaving him alone. Because even psychopaths have the (admittedlly limited) capacity to love others–they are still human, after all. Alice’s love, no matter how distorted it may be, is directed at Luther. She will protect him no matter what. Which is why the second quote above is so praiseworthy. She is well aware of her sins and who she is, but when the other foot comes down, what is more important: punishing her for crimes already committed or protecting the innocent now? As odd and outrageous as it may sound, Alice Morgan is John Luther’s grace. She sacrifices herself by possibly being caught and punished in order to clear Luther’s name and nearly sacrifices her life for Mary Day—the one John loves. Her loyalty to Luther is praiseworthy. And don’t we all receive grace from unexpected sources? It so often seems to come out of nowhere, from our blind-spot. To think that grace only occurs through upstanding vessels (or Christians) is not only ridiculous, it isn’t even biblical. Just look at King David or Rahab or St. Matthew (or any of the tax collectors Christ befriended or talked about). Predatory and notorious persons, if God so chooses, can be instruments of grace. At the end of the day, BBC’s Luther shows us that grace is boundless and limitless in its quantity and means. Alice: You’d degrade the law you serve just to protect some woman who cast you aside like offal? Luther: [puts his wedding ring back on] In a second. Alice: And you think I’m the monster. Love is supposed to dignify us, exalt us. How can it be love, John, if all it does is make you lonely and corrupt? Read more on and from Blake I. Collier. Am I to assume that the lack of comments on this article is because not a lot of people have watched Luther? This was a very well done analysis. Luther is one of those shows that has so much moral activity going on that it’s hard to just sit back and enjoy the show. I think more people need to get on board with it…. Maybe a “viewers guide” to Luther without the spoilers for those waiting for the last four episodes to appear on Netflix? dirtyrottensaint–thank you so much for reading the article! I appreciate the encouragement. I may, at some point, have to put together a post or two which introduces people to the show and characters and hopefully pulls them into wanting to watch the show. I will think on that. Thanks for the idea and thanks, again, for reading! Long live John Luther! Okay, you’ve convinced me. I’m going to add this show to the queue. I don’t think you’ll be disappointed, Jim. It’s an amazing show! Thanks, Blake, for giving it the Mockingbird treatment. In a similar vein, I’ve enjoyed Sherlock and Broadchurch, which have also received their own respective Mbird posts. But Luther is the best of them, I think. Haven’t seen either of those shows but they are both on my queue! Thanks for the encouragement, John. I started watching Luther after reading previous comments from this site. However, I watch it via Netflix, and with only two seasons available (both of which my wife and I have watched), I don’t want to read too much about season 3 yet. But, it is a great show. And your comments are right on the mark. If you liked the pacing and progression of season 2, then season 3 will not disappoint you at all. And, plus, it has the single greatest episode of the whole show in it. Just when Breaking Bad ended and I was getting a full 8 hours a night, I’m back to getting to bed at 4am. Curse you Mbird. Mbird has a way of ruining lives with their excellent cultural analysis. It’s just the nature of the beast, haha! fromexilegrowman keeps me (and my wife) awake too. Curse all of you!!!!!!! Haha. Anyone who actively reads fromexilegrowman has major issues, and if they don’t have major issues will graciously receive some from me! Thanks for reading both Mbird and my blog as well!